Special Offer: All on 4 Implants for $8,650 only! 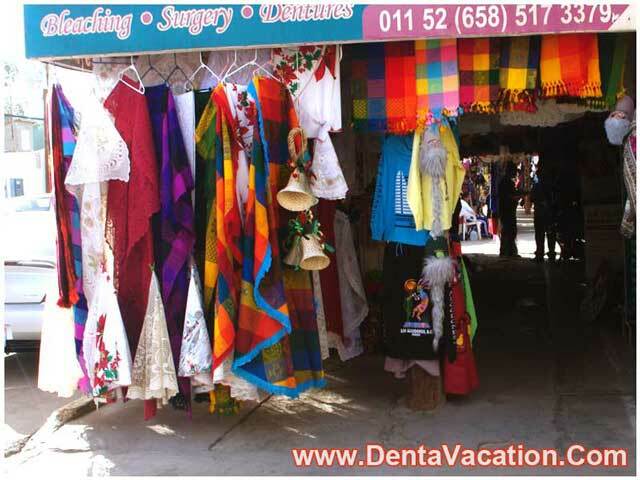 All on 4 dental implants in Los Algodones, Mexico are an attractive proposition for American and Canadian medical tourists keen to find a low cost alternative to replace their dentures. 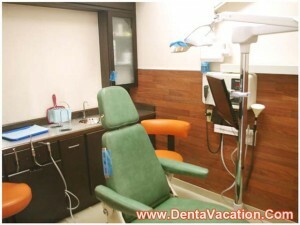 Dental tourism in Mexico gives residents of the USA and Canada access to cheap treatment options not very far from home. Border towns such as Los Algodones in Mexico are popular due to their close proximity to the States. All on 4 implants cost about $8,650. With all on 4 implants in Mexico you can save as much as 60% over the typical US prices for the prosthetics. *Terms and conditions apply. Contact us through the website quote-form for information on latest prices and special offers. Note: Offer cannot be clubbed with any other promotional offer. Our website may not reflect the latest offers. Please get in touch with us through the quote-form for the latest information. 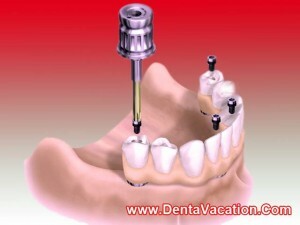 Where will Your Implant-work be done? Tooth loss can be a devastating process, affecting your daily life in everything – from eating to smiling and traveling to Mexico may offer an affordable solution to these problems. All-on-4 is an advanced treatment for missing teeth in which a customized dental prosthesis or plate is attached to four titanium dental implants. These implants are placed directly into the jaw bone, ultimately fusing with its structure. This provides maximum stability. A denture or bridge containing porcelain/ceramic teeth can then be fixed to these implants. All on 4 is commonly used for people who have lost their teeth or are about to lose them due to old age, gum problems, trauma or tooth decay. Indeed, the technology is such that surgery results in a rapid and permanent set of teeth which sits naturally within your mouth. It is generally suitable for most patients, regardless of their age, gender or stage of periodontal disease and a preliminary CT scan will ensure that you have adequate bone strength to cope with the implant. According to a longitudinal study of 245 patients with all on 4 implants conducted by P Malo et al, details of which were published in the March 2011 edition of The Journal of the American Dental Association, the prosthetics showed a survival rate of 99.2% with up to 10 years of follow up. The lower price of treatment doesn’t mean that you have to compromise on quality. Rather, the cost of living south of the border is considerably lower than that in the United States and this saving is passed directly onto the consumer. Even when you include the charges for accommodation and traveling to Mexico for teeth implants, you still stand to make significant savings. If you’re a US citizen, you may find that choosing to have your all-on-4 dental implants by the US-Mexico border provides the most cost effective option for your treatment. Waiting lists are generally minimal; you can have your treatment in a much more timely fashion. 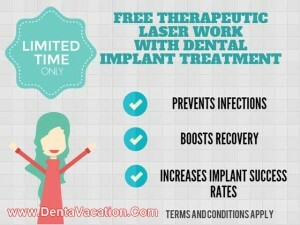 Opting for ClearChoice implants in Mexico could help you tackle your tooth-loss problems quickly and efficiently. Los Algodones is a small town just inside the Mexican border, about 16km from Yuma, Arizona, US. 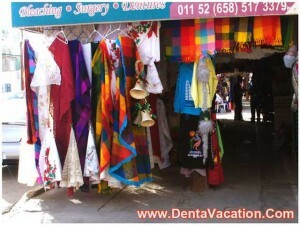 Thanks to its proximity to the US border, it is a popular dental destination offering inexpensive services. We work with an established facility here which has its own dental laboratory and a high tech array of equipment. Staff members at this Algodones facility are warm, friendly and fluent in English. Treatment is offered in a clean and welcoming environment. If the total price is your major concern, it can be well worth discussing options as discounted permanent dentures in Algodones, Baja California may be available. Transport links to the border town are good, with an international airport in the vicinity (El Paso International Airport). Remember that you should always have the appropriate documentation in place prior to travel. 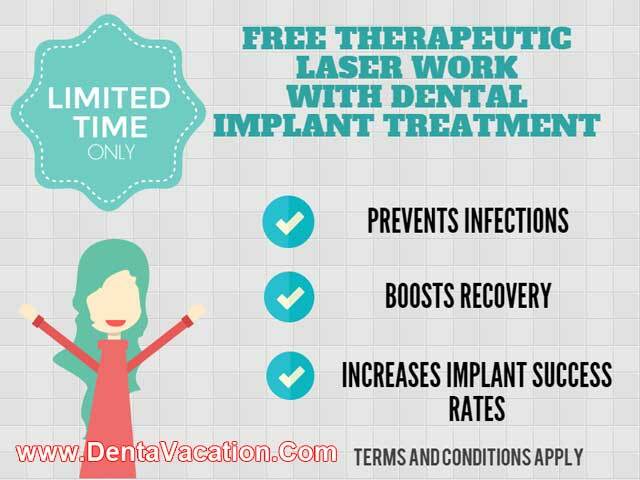 If you’re looking for quality tooth replacement treatment in a cost-effective manner, choosing all on 4 dental implants in Algodones, Mexico may be the way to regain your winning smile. Fill in the Quote-form on the right for more information.